There was certainly a lot of hype leading up to the 2017 eclipse on Monday, and in my opinion, in did not disappoint. These two crazies took their eclipse glasses into the lake with them. We quickly learned that they were not waterproof, creating a marketing opportunity for the next eclipse at Lake Hartwell - waterproof glasses branded with the SpotOnTheLake logo. 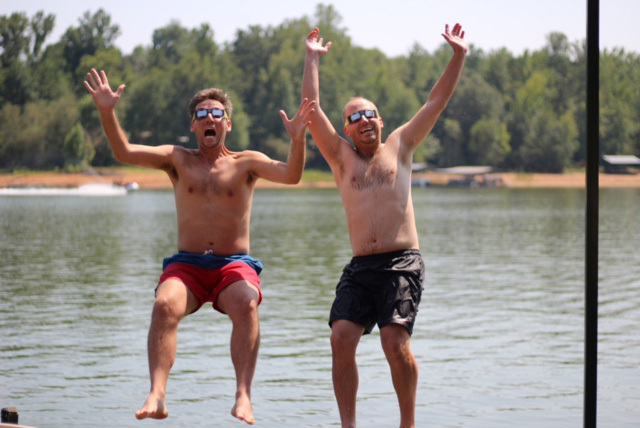 For more of my favorite photos from the event, click here, and come let us help you find your own spot on the lake so you will have a front row seat for the next Lake Hartwell eclipse on May 11, 2078!